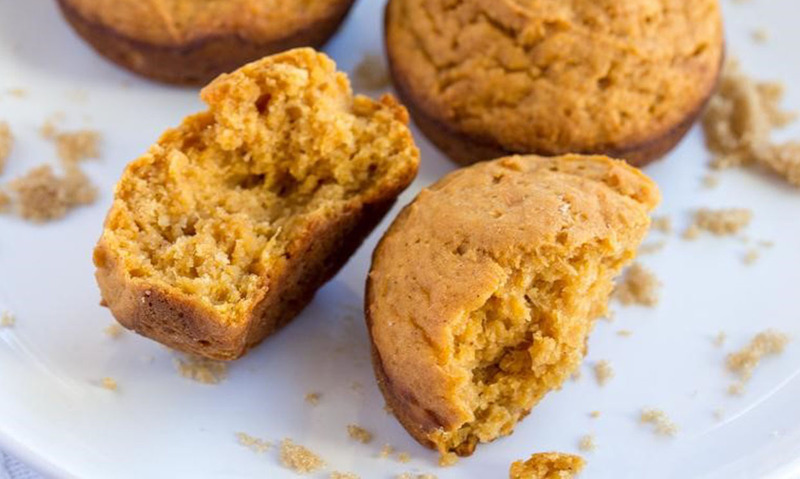 These muffins bake up moist, tender and delicious, so now you can enjoy the sweet goodness of our Mashed Sweet Potatoes in a whole new way! Preheat oven to 375 degrees F. Grease 1 12-cup and 1 6-cup (or half of another 12-cup) muffin pans generously with cooking spray. In a medium mixing bowl, combine flour, baking soda, baking powder, cinnamon and salt. Set aside. 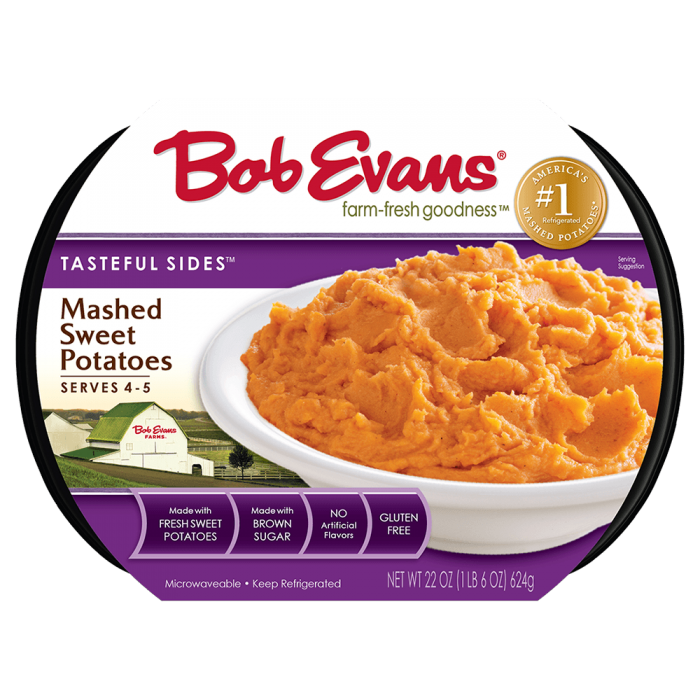 In a large mixing bowl, stir together Bob Evans mashed sweet potatoes, brown sugar and eggs. Gently stir in flour mixture just until combined. Do not over mix! Divide batter into prepared muffin cups (Using an ice cream scoop will yield 18 perfectly even sized muffins). Bake for 30-34 minutes, or until a toothpick inserted into the center comes out clean and tops spring back when lightly pressed. Cool in the muffin pans at least 15 minutes before enjoying. 1 Preheat oven to 375 degrees F. Grease 1 12-cup and 1 6-cup (or half of another 12-cup) muffin pans generously with cooking spray. 2 In a medium mixing bowl, combine flour, baking soda, baking powder, cinnamon and salt. Set aside. 3 In a large mixing bowl, stir together Bob Evans mashed sweet potatoes, brown sugar and eggs. Gently stir in flour mixture just until combined. Do not over mix! 4 Divide batter into prepared muffin cups (Using an ice cream scoop will yield 18 perfectly even sized muffins). Bake for 30-34 minutes, or until a toothpick inserted into the center comes out clean and tops spring back when lightly pressed. 5 Cool in the muffin pans at least 15 minutes before enjoying.